Pack 417 participates in two camp-outs per Scouting year--Cub-O-Ree and Spring Camp-out with Pack 617. Below is the genius link to sign up your scout and family for this year’s Spring Camp-out. The cost is $15 per scout and $10 per adult. Siblings are also $10. You can write a check out to Pack 417 at the April Pack Meeting next week. If you would like to use money in your Scout's account to cover the fees, please check in with Nikki Sandor, as she can confirm your Scout's account balance. Your fee’s are covering shelter rental, food, and the shooting sports. If the weather turns bad or too cold, there will be some Leaders/Parents/Scouts that stay at camp. Please feel free to leave if you don't like the weather and return the following morning for the day's activities. Address – 581 Ibold Road, Loveland, Ohio 45140. Location - KPMG Campsite (see map). Best path to get there is head to the gaga pits (past the dining hall), once at the pit you will see the tee-pee looking shelter ( image in the lower left of the map), take the trail to the right of that, our camp site is right past the shower house. Parking is circled in yellow, Campsites are circled in red. All scouts and parents attending the camp-out will need to fill out A and B Medical forms and turn them in at camp the day you arrive. I suggest saving a copy of the forms so you can use them again for any summer camp you and your Scout attend. You can download the form below. Breakfast – provided by the pack, donuts on the way out. Snacks – Please know, there are no snacks planned, there is typically left over food from each meal that will be free to pick from, however if you know you or your scout will need a snack during the day, please bring. We understand that schedules are busy this time of year and if you need to leave and come back during the weekend to attend practices, games, etc. 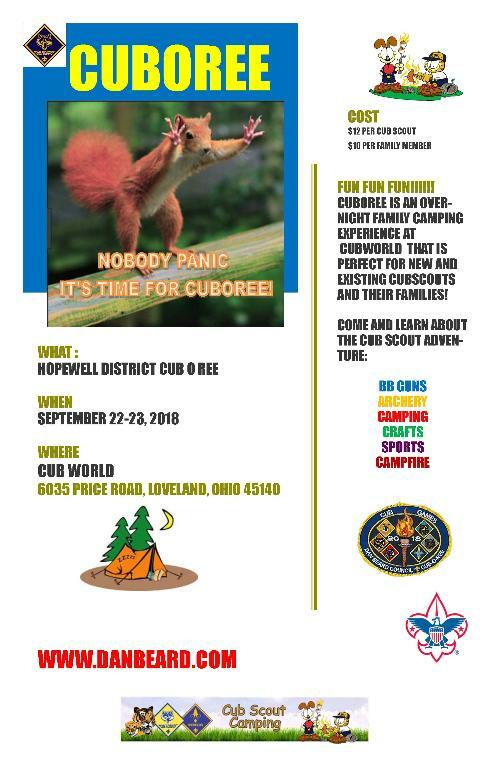 that is OK.
Cub-O-Ree is an overnight camping experience designed to give both new and existing Cub Scouts an exciting adventure at the start of the new school year! While at the event, Scouts will get a taste of what Cub Scouting offers through camping, shooting sports, games, crafts, campfires and spending quality time with their family! In addition to these activities, they will also get to experience events related to the Olympics theme! This includes; scavenger hunts, finger printing, and a lot more! What should you expect at Cub-O-Ree? Fun! Lots of fun! There will be plenty of activities for the Scouts and their siblings! And a campfire! One meal is provided at each event. ALL Cub Scouts new and existing! The event is designed for the whole family! Cub Scouts, along with Mom, Dad, and siblings are all invited to come spend the night enjoying the Scouting experience as a family. Cub-O-Ree is held at the end of September and you need to register ahead of time if you intend to participate. 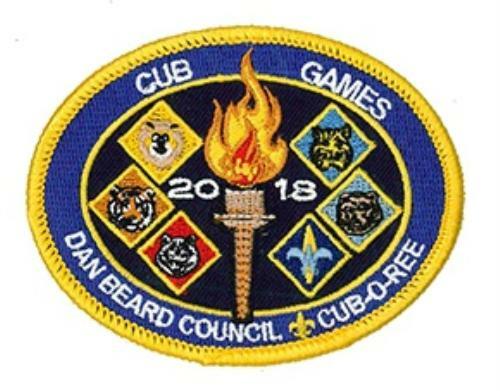 To register for Cub-O-Ree, please follow this link to Dan Beard's website. Not sure what to pack for Cub-O-Ree? See the below downloadable list of suggested items. Don't forget to bring you completed medical form. This is a REQUIRED form for all that attend Cub-O-Ree, including Scouts and family members. Below you can download a copy of the required medical form.